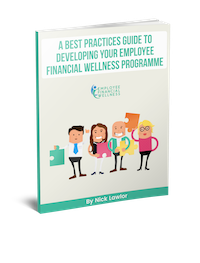 Reducing mortgage costs is one of the most prominent concerns I come across as a financial planner and corporate wellness financial wellbeing provider. The dream of homeownership is achieved through the reality of a mortgage. And for many of us reality bites! Mortgage repayments are typically the single largest monthly expense we have. Moreover, they’re good business for lenders. By the time we repay our mortgage loan (over 25 years, say) we will have paid far more than the market price of the house at the time of purchase. On average it works out at 1.4 times the purchase price. Needless to say, we all want to reduce mortgage costs in order to get this ratio down and get more value from our mortgage. Here are 10 clever ways to help minimise mortgage loan costs. You can start off on the wrong path and end up in financial difficulty by going for something that is not realistic. Whether that’s putting yourself under too much pressure to get the deposit in the first place, or just trying to keep up the mortgage repayments for a house that was out of your original budget. Be realistic about what you can afford and stick to that budget when bidding. Mortgage providers have systems in place to calculate what is a realistic amount for you to pay each month based on the retention of a minimum net disposable income. But even with this you should be mindful of potential financial speedbumps coming down the road. When it comes to any financial planning advice or money saving tips ‘shop around’ is always high on the list. But if you heed this advice nowhere else, do so when it comes to choosing a mortgage provider. It will be the most important financial decision you make. When the stakes are this high incremental differences in percentage and terms and conditions will make a difference. Doing your research and comparing deals can lead to some seriously significant savings. Mortgage Brokers are a good idea if you feel underprepared to evaluate mortgage options. They’re more likely to know which lenders will want to lend to someone in your position, and they‘ll often have access to lenders who don’t deal with borrowers directly. There are ancillary costs associated with buying property. Most significant will be your solicitor fees. This will likely come to a few thousand so it’s necessary to be aware of this cost and have a plan for it. If you can pay it outright without having to add it to the mortgage happy days. If not then you’ll need to add it to your mortgage loan, and while this will be small compared to the size of the property loan it is nonetheless more debt, so best to be mindful of these costs from the outset. You can shop around for solicitors to be sure you’re getting value and always seek clarity about what fees you should expect. This is a no-brainer, granted though it can be hard to do! The larger your deposit, the lower the loan amount you need to pay interest rates on. Zero deposit mortgages are thankfully a thing of the past in Ireland now, but if you can nudge your deposit past the minimum amount of 10% for first-time buyers and 20% for second time buyers then you’ll be doing yourself a big favour. Mortgage rates come in two main forms: fixed and variable. With a fixed rate, you will know exactly what your repayments will be for a set period. 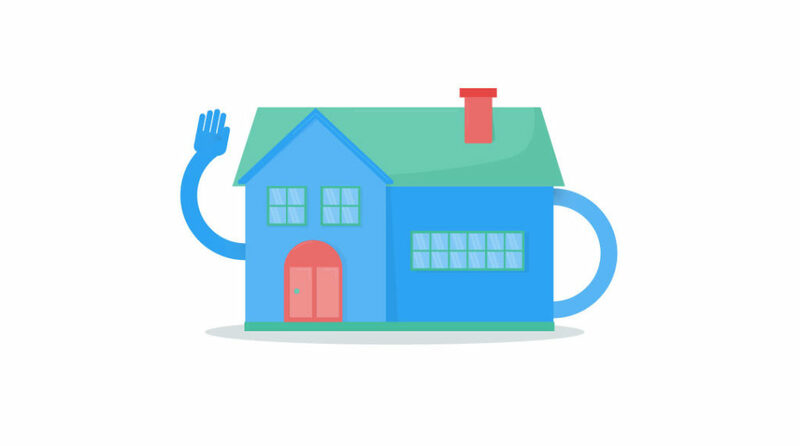 Fixed rate mortgages play it safe. You pay a premium for the certainty that the rate won’t change. Variable rates, on the other hand, go up and down alongside the bank base rate, which means that a variable rate could work out cheaper for you. But you must be prepared to accept the reality that the rate could increase at anytime. So, even if the variable rate is lower than the fixed rate at the time you are negotiating your mortgage contract, your decision ought to be based on a ‘what if’ scenario. Banks always win on a fixed rate, but not necessarily on a variable because you have more flexibility to pay off your mortgage early when on a variable rate. Yes, the rate can fluctuate, but since Ireland joined the Euro our variable rates have been controlled and consistent. Most mortgages are for a 25-30 year period. However, you can change this term depending on your circumstances. Extend it to 35 years and you will pay less per month. Be warned, however, that this will cost you more overall, since you’ll be paying interest rates for an extended period. What about reducing your term? The quicker you pay back your mortgage the less interest you will have to pay, meaning you ultimately pay less for the loan. Pay as much as you can afford to each month, without compromising the amount of income you need for cost of living expenses. It’s important to have rainy-day and emergency savings in place, but if you have these adequately covered then consider increasing your mortgage repayments rather than saving the additional income you have. If the interest rate you are paying back on your mortgage is higher than that which you obtain for deposit savings then it makes sense to lower your debt whereby increasing loan to value of your home, rather than increasing your savings. Along similar lines, it’s worth overpaying on your mortgage if you can afford to do so. Most mortgages allow you to overpay by 10% each year without incurring additional fees. Doing so means that you will pay off the overall mortgage balance quicker, saving thousands in interest charges in the process. Your income may increase due to a pay rise, a one-off bonus or inheritance. Conversely, your expenditure might decrease and thereby free up additional cash. Maybe you reach the end of other debt repayments, or your children complete their education, removing school fees as an expense. Whatever the situation is, if you find yourself with extra income you should think about putting it into your mortgage to pay it off quicker. Based on the average mortgage cost and terms in Ireland, here’s an example of what you could be looking at in terms of savings. Here is a good resource to calculate the savings you could stand to make by overpaying your mortgage. Another reason to go with the variable rate option. It’s a competitive market out there and banks are hungry for your business. Use this to your advantage. Just like (we hope) you do with your insurances – car, home, health – you should look at your options from different providers every 2-3 years. The banks offer attractive switching rates but read the small print. Often within a few years the terms of the new contract can become unfavourable. So, what can you do about that? Switch again! It is therefore healthy and recommended to keep up a relationship with your mortgage broker as they will keep you up to date on your next best move and when that move should be.